LUWERO – Buganda Kingdom is counting losses after a fire razed down its Land Board Offices in Luweero town, destroying vital documents and computers. The fire reportedly broke out at 5:30 am on Tuesday morning in the office containing key documents before it spread to other offices. Charles Ssenteza, a private security guard at the offices, said he noticed the fire at around 5:30 am and rushed to the police station to call the fire brigade. Ssenteza said the fire brigade team arrived at 6:30 am and found the computers and documents reduced to ashes. Staff of Buganda Land Board rushed to the offices to save documents but found most of them burnt to ash. Paul Kangave, the Savannah Region Police Spokesperson, said investigators have established that fire was caused by a percolator that was left boiling water and ran dry before exploding. Kangave said the fire spread to documents and computers and destroyed the ceiling of the offices. 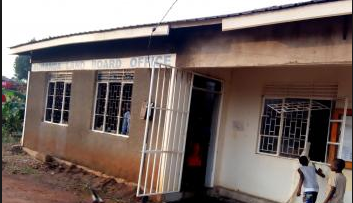 Mworoozi Byaruhanga, the Luweero District Police Commander, said Police managed to put off the fire and stopped it from spreading to the district office.